What's the deal with...Kyary Pamyu Pamyu? Sounds Like: The most adorable descent into madness. If Zelda Fitzgerald had turned to lollipops instead of bathtub gin, and was Japanese, she could've written the hit single, "Candy Candy." Why You've Heard of Her: Kyary Pamyu Pamyu has been on the up and up in Japan since her first song "PonPonPon" in July of 2011. 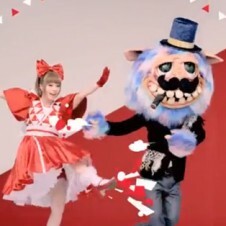 If you're caught up on your Warner Music Japan, there's no way you'd miss any of her sincerely bizarre music videos. Also she is so kawaii. What's her deal? : Who knows what this chick's deal is? She started her career as a fashion blogger which turned into modelling gigs for Harajuku magazines. After that she went into the eyelash business to help Japanese girls look even more like dolls. Then, ready for the big leagues, Kyary released a mini-album which was quickly followed by an autobiography chronicling her rise to fame. Ballsy move, Kyary. Behind every famous kawaii Harajuku girl lurks a business savvy opportunist. The music video for "Candy Candy" is a truly amazing token of Japanese pop culture. 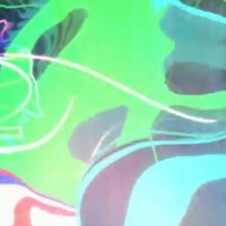 Honestly, Kyary Pamyu Pamyu had us at the opening sequence when she runs with a piece of toast in her mouth. It's not an "I'm-late-for-the-bus-toast-on-the-go" montage. It's more of a horse bit-like accessory. The rest of the video doesn't fail to disappoint with meaningless cutesy lyrics, a google-eyed onion and killer dance moves. 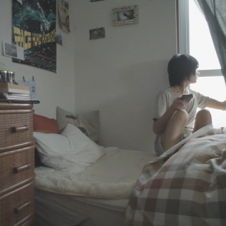 We agree with YouTube commenter CookieTrainFTW who wrote, "This song means everything." 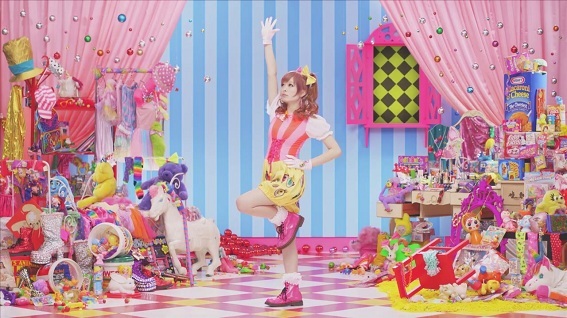 Watch the music video for Kyary Pamyu Pamyu's "Candy Candy" below. This song is mental like bad acid before bed.